Successfully Added Wireless Bluetooth Stereo Headset (Left + Right Ear Use) to your Shopping Cart. Introducing the latest Bluetooth 2.1 stereo headset that is designed with the user in mind. This Bluetooth earpiece delivers beautifully on quality and absolute comfort for use on either ear. For a high quality Bluetooth stereo headset with an omni-directional microphone that clearly picks up your voice, look no further than this Bluetooth stereo headset. This Bluetooth stereo headset makes sure your callers hear you clearly without any noise interference, thanks to the integrated noise cancellation technology. This Bluetooth stereo headset is also great for listening to music directly from your cell phone. All you have to do is connect the included earphone to the Micro USB port located on the side of this Bluetooth earpiece, and you'll have yourself a fully functioning high quality pair of wireless earphones. This will also make sure you hear your callers loud and clear, even if you happen to be in a noisy environment. This Bluetooth stereo headset is compatible with the iPhone, Windows, and Android cell phones. Therefore, whether you're a Windows, iPhone or Android person, you can still enjoy having a Bluetooth stereo headset that delivers on quality and comfort! 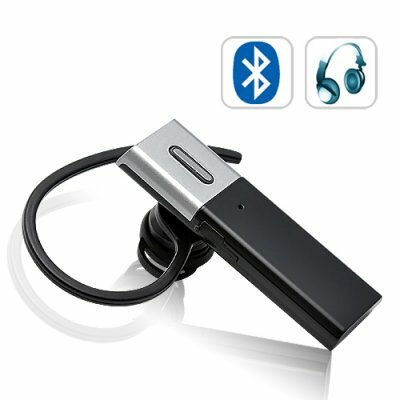 This wireless Bluetooth stereo headset can also be used with IM chat applications such as Skype, Gtalk, Yahoo Messenger and MSN Messenger on a Bluetooth enabled computer. This cool new Bluetooth stereo headset is in stock now! Click "Add to Cart" now, and Chinavasion will ship you a sample straight away. This latest stereo Bluetooth headset is brought to you by the leaders in wholesale consumer electronics Chinavasion. Easily pair it with a Bluetooth capable laptop/notebook computer, so feel free to wear it to talk online all night long. What is the pass code for paring the Bluetooth earpiece?